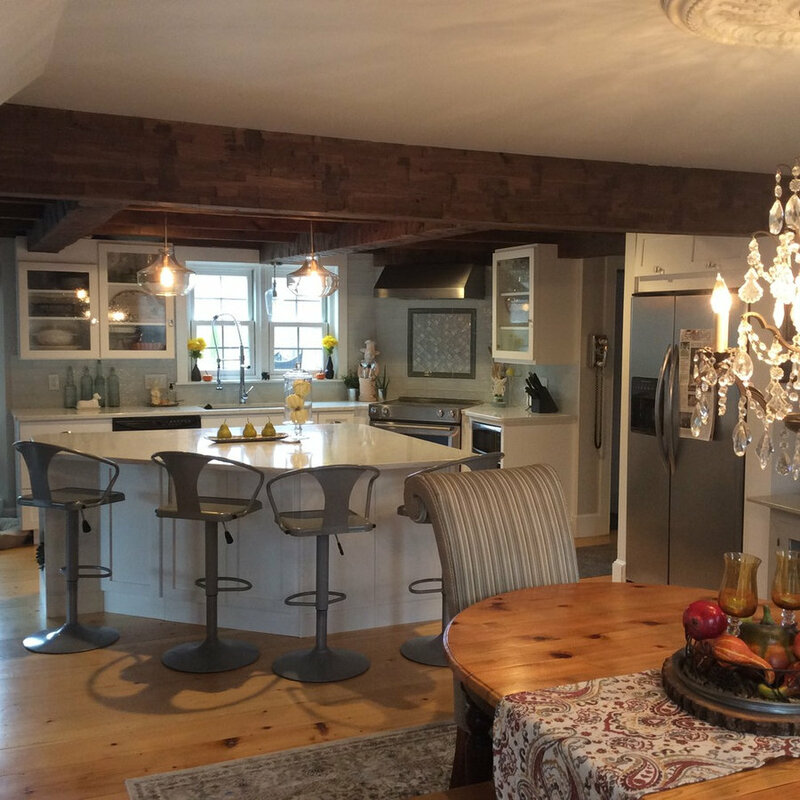 Antique reproduction home with low wood ceiling and beams, pine flooring. 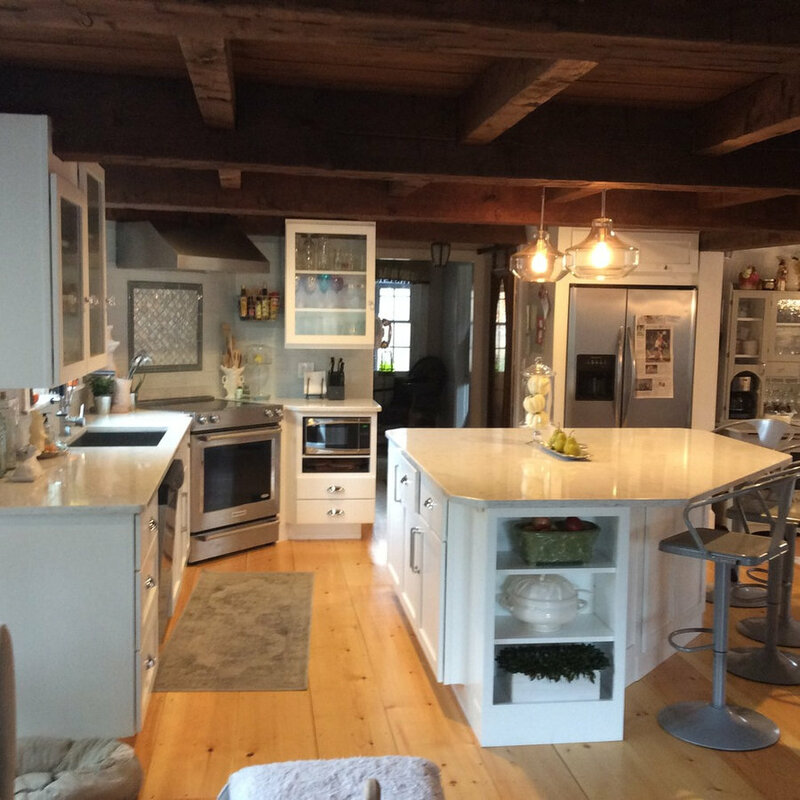 Wall between the kitchen and dining room was removed to expand the space and allow for large island, also allows more light into the kitchen from the large front windows. Big beam to right of refrigerator was installed where wall was removed. 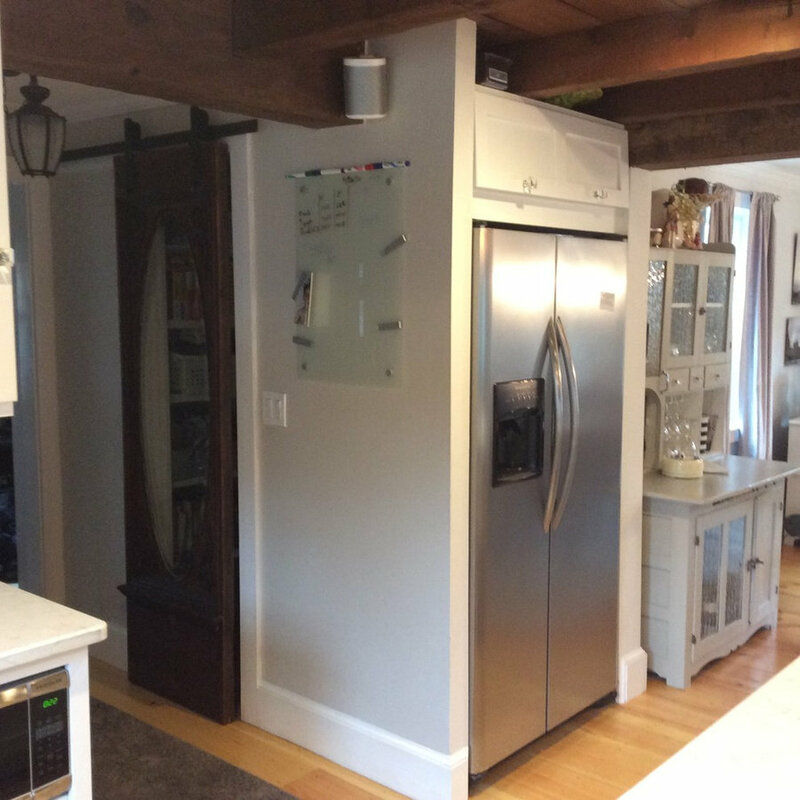 Refrigerator was hidden from view by extending the "hall" wall and stealing space out of the pantry closet . New soft white painted Candlelight cabinetry (replaced old dark wood cabinetry) that now reflects light to brighten the space. Viatera "Everest" Quartz countertops are easy care and light and bright... nice contrast with the wood ceiling. Corner range with tile backsplash makes a nice focal point as well as an efficient work space the family loves!